Looking for Fundraising Ideas that will benefit your community project or a charity you’re passionate about? Plenty of ideas already exist. It’s just a case of picking one that is relevant to you in terms of logistics and expenses. Basically, one that’s realistic for you to execute. Moreover, you’re going to need another pair of hands to help out, you can’t exactly do it alone because that would be setting yourself up for disaster. The great thing about fundraising, people love to volunteer! Via the magic of the internet and social media, you will definitely be able to reach out to plenty of people and even businesses that may want to take part too. With the above taken into consideration next, we’ll cover the five great fundraising ideas for you to choose. Plan a scavenger hunt! Go and send all the members on the hunt around town for the items on the list of things to hunt. You have the choice to the scavenger hunt in two different ways. One way is by doing the traditional method by gathering all the items, the other is by doing things digitally and what I mean by that is to go around the town or city taking selfies with the specific landmarks. The idea behind using a selfie is to make sure none of the participants and people can win fair and square. In terms of acquiring the money for the fundraiser, all you have to do is merely charge a registration fee before the event. You may offer the option for the participants to get a head start where they can pay a little extra on top of the registration fee. Likewise, you can do the same with any hints for any specific item or place on the list stuff things that the participants need to acquire. Everyone loves trivia night at the bar, for anyone who’s attended one understands the intensity and how high the stakes are in this quiz competition. All you have to do is approach a local pub and or restaurant to host the trivia night event. Next through word of mouth or the magic of the internet, spread the word! You will want plenty of people to come because you will want to raise as much cash as possible but also, more importantly, the more people the merrier it gets (or competitive). Once you have spread the word and organised the venue, simply charge a small admission fee for the participant to take part. Next, group the members randomly into different teams. The team that manages to raise the most money gains bragging rights. Moreover, if you can ensure a large crowd to the event the venue might just agree to share a bit of the food and drink proceeds to your fundraiser. All sports events have plenty of things in common. Such as cheerings, tight-knit communities, crowds and competition. The people are rallying for one thing; that is to see which team will be bringing home that “win”. 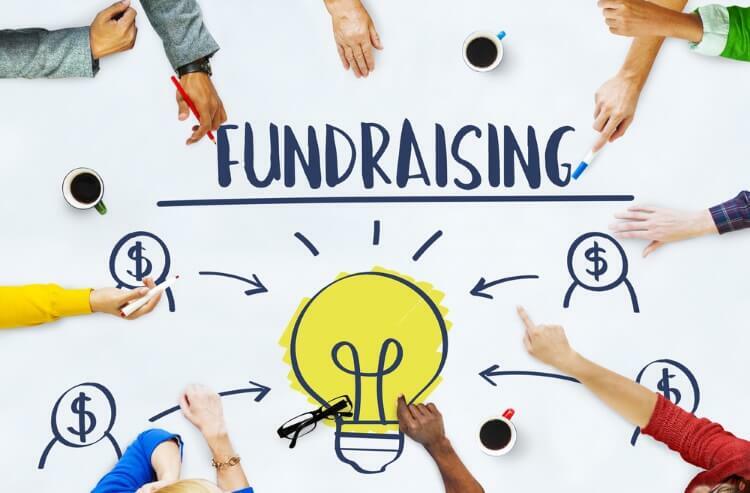 What idea could be better for your fundraising event? The great thing about these types of events is the fact their easy for fundraising. People love sports and competition whatever the game is your bound to raise plenty of cash. Make sure to take advantage of social media because it’s a free and effective way of getting people interested in joining the event. Moreover, if you plan to have this fundraiser going on for the weekend you can update the Facebook page with pictures from the events. Moreover, you can take advantage of Facebook “Live” feature as you can broadcast the event for free on via the use of your smartphone! One way to bring the fun to the next level themes. That’s right, themes. Make it more exciting for the participants in the sports games to dress up as any of their fictional heroes (or nonfiction). Or you can get each team to pick one theme for their costumes. This will be quite the spectacle to see but it would definitely please the crowd. In terms of acquiring the money for a fundraiser, is simply to charge a small admission fee to spectate the games. Moreover, you can charge a different fee for participation in the games. Dancing marathon is definitely something to get a crowd excited. Hire a venue you out for one evening and host a dance-a-thon. The aim of the game is to dance as long as you can and to win be the last one left dancing to win the prize. It’s a fun way to keep people on their toes! Merely charge a small admission fee for people to participate. Don’t forget to take advantage of social media to advertise this event. This one is simple. Just request the teams to raise a certain amount of cash to participate in an epic game of dodgeball. You can also charge a small admission fee for people who want to watch the games! As you can see there are plenty of fundraising ideas and these can be quite diverse based on the above. You will bound to find an appropriate event out of these fundraising ideas.